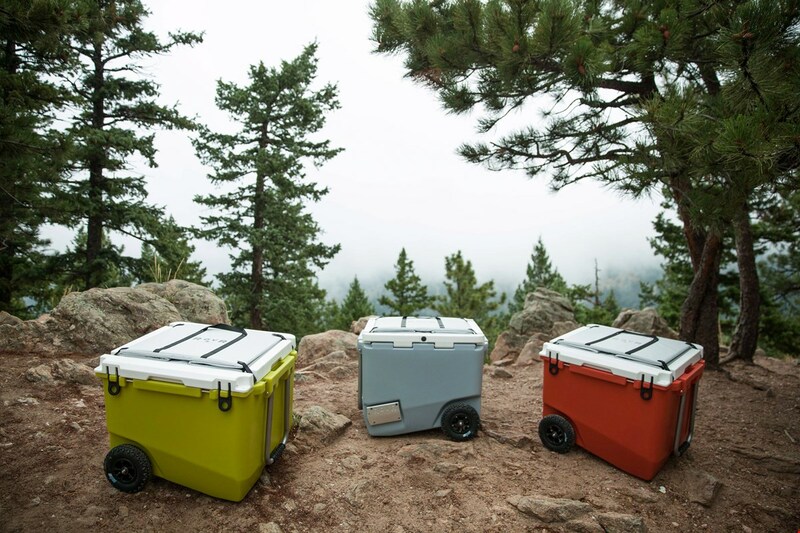 Boulder, Colo. (Dec. 19, 2016) – RovR Products, creators of the first premium, made in the USA camping cooler with all-terrain capabilities, is signing Verde Brand Communications as their communications agency of record. Verde will handle all aspects of RovR public relations support during their North American launch and beyond, effective immediately. Made in Colorado, the RovR CampR features an 80-quart carrying capacity and all-terrain, high-performance mountainboard wheels to effortlessly cover the most rugged terrain. RovR’s patent-pending design can keep food and beverages cold for up to a week and includes innovative features that turn the cooler into a food and beverage-serving center. A removable folding bin affixed to the lid coverts the CampR to a wagon, making it possible to carry gear such as chairs, tents, towels and dry goods to destinations. Most traditional coolers are designed for the marine market and are therefore imperfect for other activities. The RovR CampR is built specifically for camping, picnicking and any adventure where bringing large amounts of food and beverage is key. Bear-proof and shaped specifically to carry up to four cases of your favorite beverage, RovR more specifically addresses the needs of campers. “The premium cooler market is really growing and RovR offers the most innovative option we’ve seen so far," said Kristin Carpenter-Ogden, founder and CEO of Verde Brand Communications. "RovR's design is intuitive, completely unique and we can't wait to launch it to the market and end consumers!" Setting this cooler apart is a handy organizer that fits top to bottom on one side of the cooler. 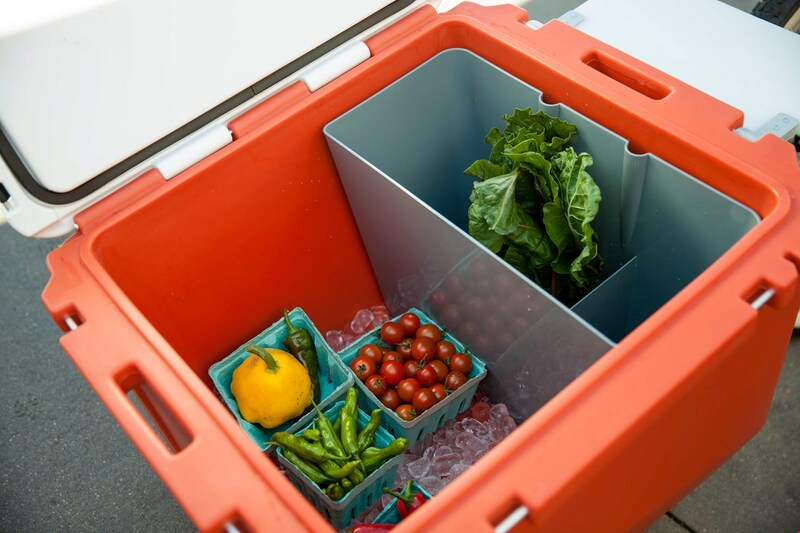 This three-compartment organizer allows you to keep food at the lowest portion of the cooler where it’s coldest while keeping it dry and separate from melting ice. All other cooler brands inefficiently put dry storage at the top of the cooler where it is warmest. Additionally, the compartments allow for the upright and spill-free storage of even the largest bottles of wine or liquor. 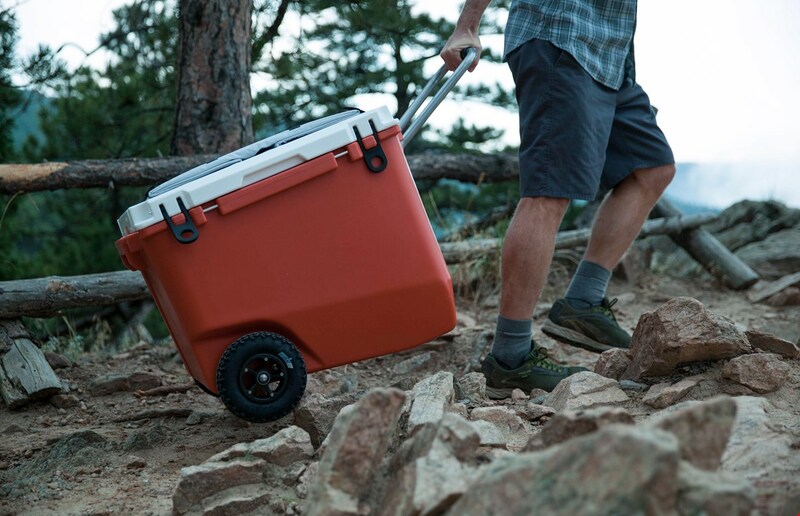 Easily traversing rough terrain, RovR coolers will carry more than just your food and beverages. A unique, foldaway CampR Bin mounts to the top of the cooler, allowing you to haul chairs, tents and sleeping bags easily, saving extra trips to the car. When not in use, the Bin doubles as a comfy cushion. RovR debuted the brand’s cooler offering with the CampR, an 80-quart offering that comes with the PreppR cutting board and dual beverage Cup HoldR. Both extras come standard and attach easily to the exterior of the cooler. An offset handle simplifies the towing process and allows two people to haul the cooler at once. For cyclists who want to bring the fun with them, RovR also offers the BikR BundlR, which takes the base CampR Cooler and adapts it to be towed behind a bike. “The ability to bring everything you need for a day at the beach or party on the sidelines by bike was really important to me, so I developed the first cooler/wagon combination that is towable by bike. The durable roto-molded design allows the cooler to stand up to the toughest abuse while the double bearing, 4 ply rubber tires make I so you hardly notice it is behind you,” added DeFrancia. RovR Coolers are available at www.RovRProducts.com and at select retailers. With offices in Jackson, Wyoming, Ketchum, Idaho and Durango and Boulder, Colorado, Verde Brand Communications exists to bring expansion to our clients and inspiration to the outdoor active lifestyle consumer. Verde is a full-service brand communications firm offering services in traditional and digital public relations, brand strategy, marketing, paid media and consulting. Verde serves clients in the outdoor, cycling, snowsports, endurance, travel, active lifestyle and consumer electronics markets, as well as the Lifestyles of Health and Sustainability (LOHAS) markets. For more about Verde Brand Communications, visit www.verdepr.com.